It has often been charged that Christian missions destroys culture. In my view, the response to this is clear…SOMETIMES. To consider this further, we need to recognize some truths. 1. Cultures are not static. They are constantly in flux… changing. Only dead cultures do not change. Living cultures change. Such change is normal and healthy. 2. There is no such thing as good or bad cultures. Cultures have good and bad characteristics. Each culture provides a structure for its people to survive, thrive, and interact. No culture does this perfectly. In other words, every culture can use some improving. 3. Just as no culture is entirely good or bad… it is likely that no change is completely good or bad. Every change will have its winners and losers. Unintended consequences are always a possibility. 4. The interaction of God’s revelation with a culture will engender change. Only that with no power will engender no change. 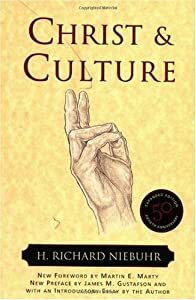 There exists a lot of disagreement as to how God’s revelation should affect culture (refer to “Christ and Culture” by H. Richard Niebuhr for several viewpoints). However, no interaction/effect is simply not an option. 5. Interaction with people of other cultures will engender change. Cultures in contact place stresses on each other… resulting in change. We learn from each other. 6. In this era of mass media and easy transportation, every culture will be affected and changed by other messages and people from other cultures. I remember when I was in Brazil, the Brazilian government was seeking to protect the indigenous tribes from outside influences. Part of this was the prevention of Christian mission work there. The problem with this, according to Brazilian Christians was that other people were still reaching these indigenous tribes. These were exploiters: drug dealers, illegal loggers, and other criminals. While the 19th century missionary David Livingston was exploring central Africa, he ran into his fair share of foreigners. These were commonly Portuguese and Arab slave traders. Christian missionaries are never the only outside influences of a culture. 7. Change is good when it is based on what is true, and effectively discerns between what is good in a culture and what is bad. William Carey, early Baptist missionary to the Bengali people of India fought against suti (widow-burning) and against keeping girls uneducated. However, he also promoted the best of the local culture… even publishing and translating Indian and Hindu classic literature. Simply replacing one culture with another culture is not critically discerning. It is never a good idea. So do Christian missionaries destroy cultures? They can, and have certainly helped others do it at times. However, they have commonly done more to preserve cultures than the various economic exploiters who inevitably come. 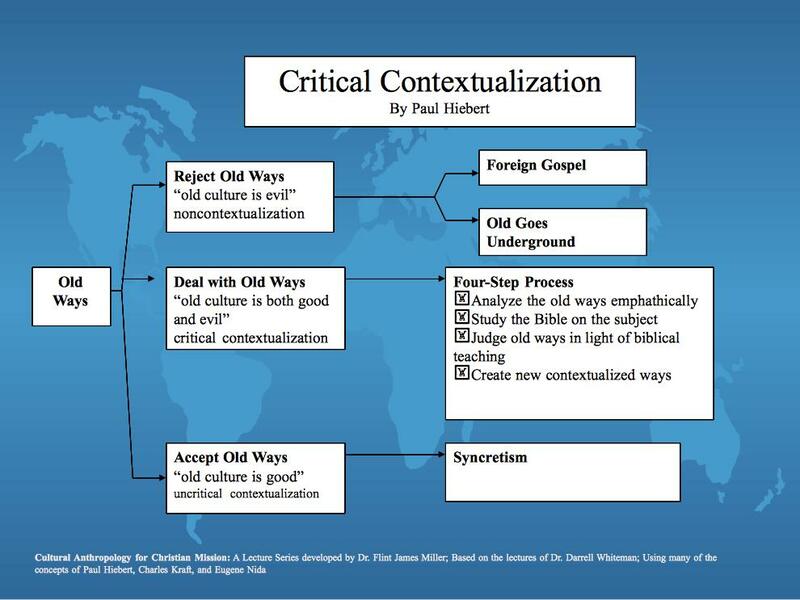 Paul Hiebert speaks of “Critical Contextualization”. “Uncritical Contextualization” leads to syncretism (not really acceptable from a Christian perspective). However “Non-contextualization” can lead to Christianity being foreign or in being a veneer over the base cultural belief system. Additionally… noncontextualization can lead to cultural decay… which is also a bad thing. In the Philippines, it is pretty clear that many of the missionaries who came here felt that Christians must live and act as they themselves live. Therefore, Christian churches in the Philippines tend to clearly mimic the churches of the missionaries’ home countries. It is not surprising therefore, the huge number and popularity of syncretistic cultic groups here (a common result of non-contextualization of faith). Admittedly, Islamic missions is worse. The local mosque essentially sequesters its 200 trainees and focuses on teaching Arabic and the Tawhid. In both cases, however, when one sees the other people that come to the Philippines, such as the economic opportunists and sexual tourists, I still realize that the missionaries have (generally and I hope usually) done more good. Christian missions should not destroy cultures. It should affirm the good and help people in the local culture discover their true potential within their own unique cultural setting, serving God faithfully in their own language and style.